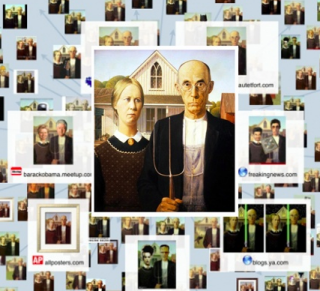 Say you want to find a similar image of the famous painting “American Gothic.” You can upload the image toÂ TinEye.comÂ and find thousands of similar images in seconds. It’s also great when you want a larger version of the image. With the browser extension installed, you don’t need to upload: just pick a photo and search.